The compatibility of Leo and Aqaurius will be akin to a yin-yang combination that will keep both the natives playing an indulgent game with each other. Leo will be attracted by expansive interests and higher mind level of Aquarius but might feel sometimes neglected and unimportant. Although there is plenty of chemistry between the duo, Leo will be more physically inclined in nature as compared to Aquarius. 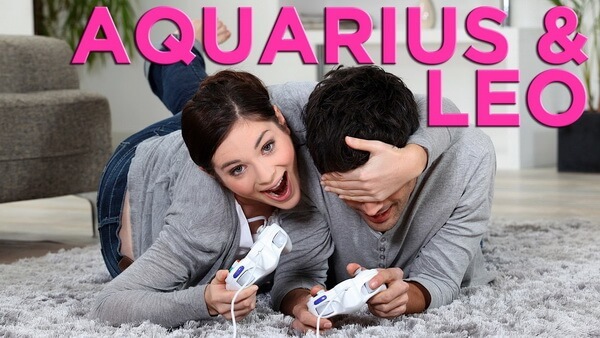 Aquarius will be rather more concerned about the intellectual aspect of this relationship. Leo will not like Aquarius’s tendency to criticize as that will deflate Leo’s ego and that is one thing Leo will never be able to tolerate. Aquarius will be too independent to simply surrender to become Leo’s pet. As per the natal charts of both Leo and Aquarius, this will be an enduring partnership but with certain cautions taken. Leo’s spontaneous and emotional nature will find a good amalgamation in the cool, aloof and detached stance of Aquarius. Leo’s loudness and quest for limelight will be in sharp contrast to rational and distant approach of Aquarius.